Cook the mussels. The shells are removed and washed. Beat a mayonnaise sauce and add tomato ketchup (according to taste). In a special cocktail glass, put finely chopped ice and mix it. At the top put the mussels mixed with the sauce. Reserve a few to garnish above and sprinkle chopped boiled egg. 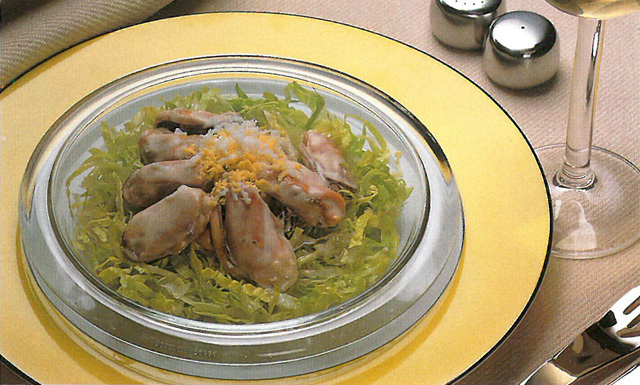 Garnish with thin strips of lettuce.